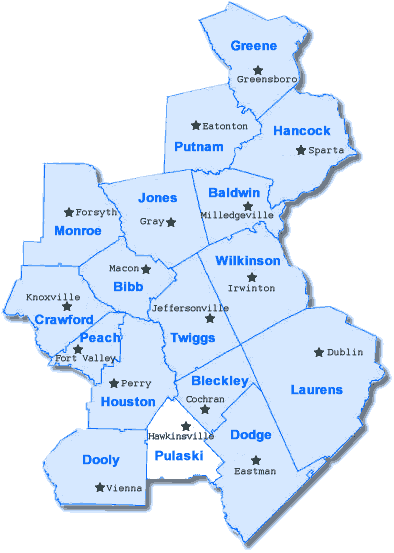 Pulaski County was created in 1808 and was once the capital of the Creek Indian Confederacy. The county was named after a Polish Count who died in Savannah of wounds suffered in the Revolutionary War. The city of Hawkinsville has a long horse racing history and is home of one of the largest harness racing training facilities in the country. Noted artist Butler Brown whose work has been displayed at the White House is a native of Pulaski County. Are you relocating to Hawkinsville GA? Get your FREE relocation package!